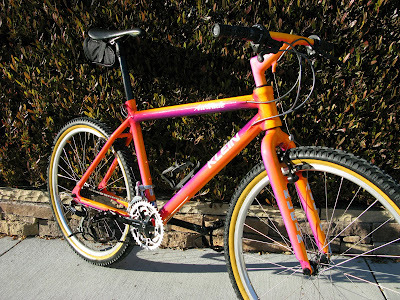 That fact that bikes like this one still exist out there is simply mind boggling. 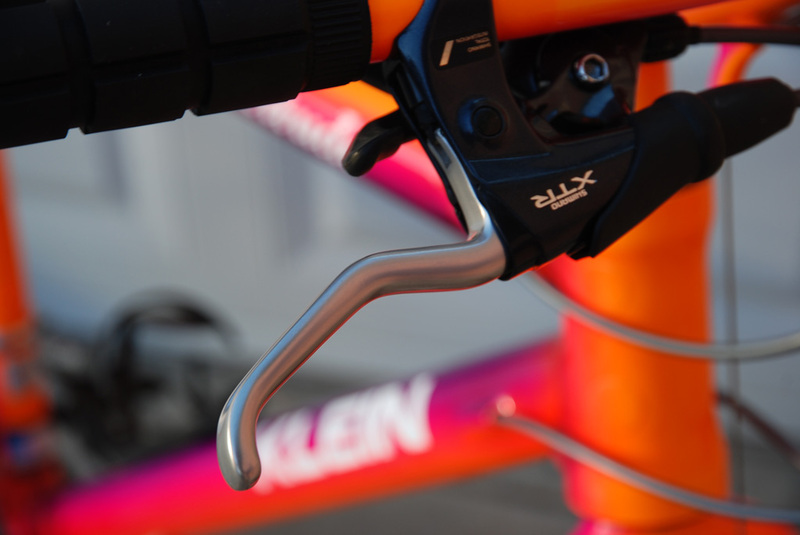 This is a nearly new, or NOS 1993 Klein Attitude (Medium) finished in very rare Moonrise linear fade. 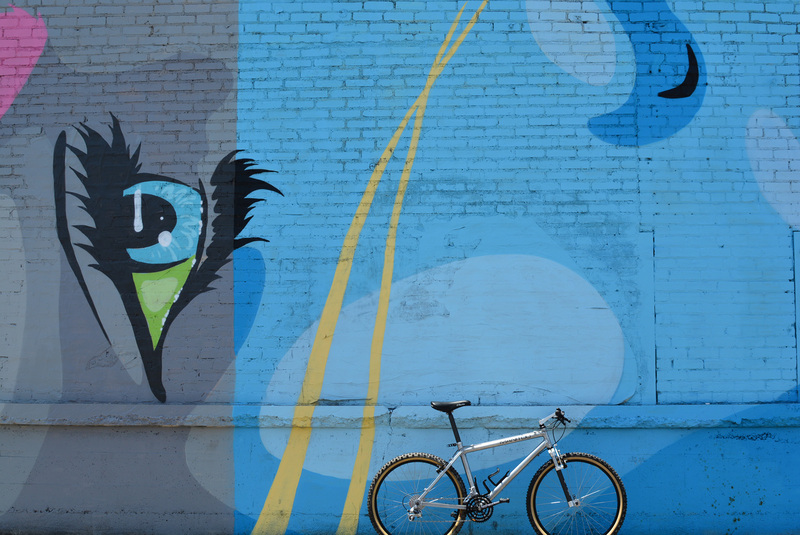 I found the bike locally in LA and the original owner said the bike was too large and he never rode it. 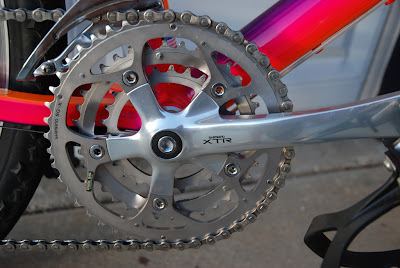 So, it sat preserved for nearly 20 years. 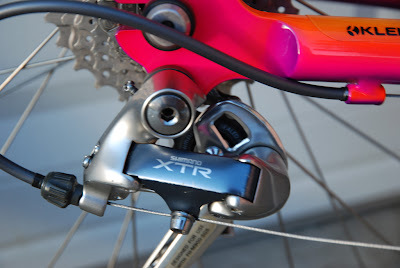 The bike was rather poorly equipped with Shimano LX and STX components, they had to go. 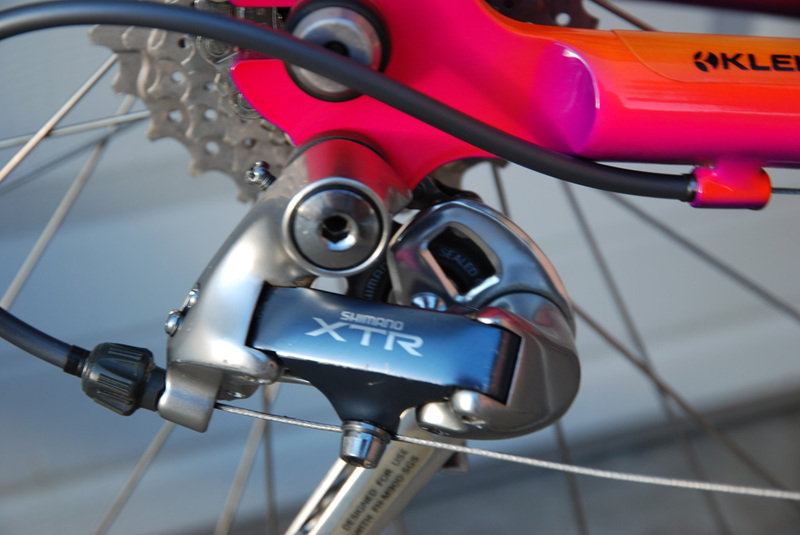 The proper build for this bike would be the Shimano M900 XTR gruppo, which is exactly what it received. 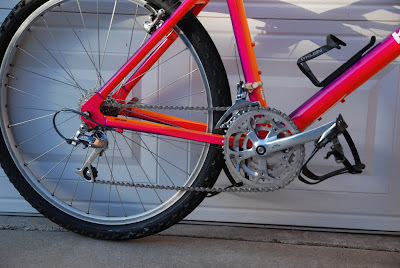 The new parts really set off the frame color which has that much more 'pop' now, not that it didn't before. 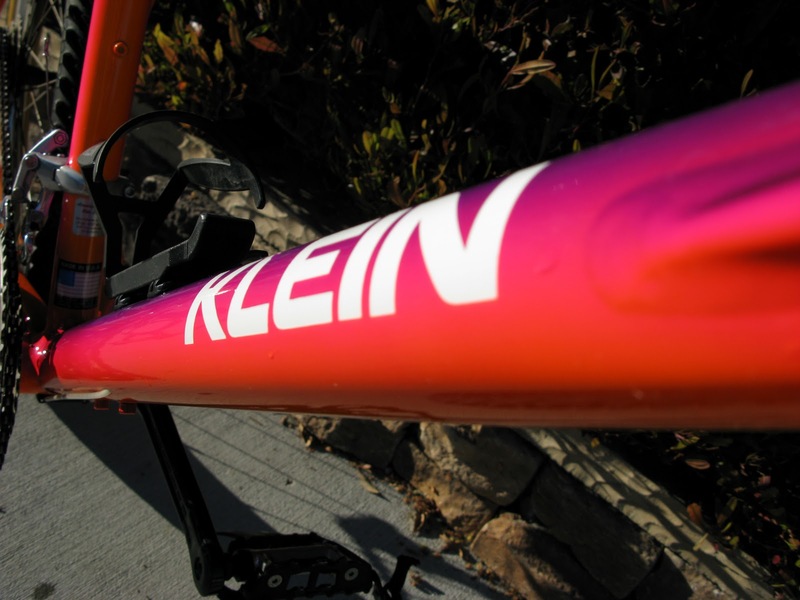 I have to say that this is the most beautiful Klein I've ever owned or even seen. 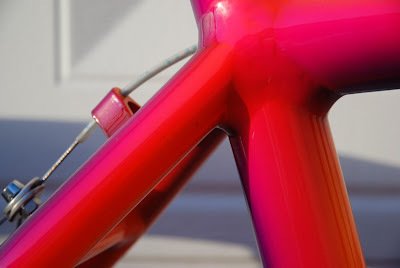 The proportions of the frame, the quality of the welds the finish comes across so vividly it's amazing. Of the MC1 Attitudes the 1993 is arguably the most desirable due to the larger 31.6 seat tube (from Adroit), slightly thicker downtube and of course the Moonrise paint. 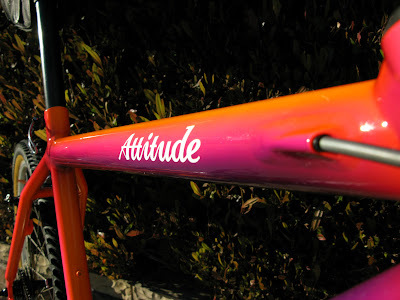 This bike is definitely one of a kind!! !